1. Leave beef whole. Crush garlic. 2. Heat oil in a heavy pan. 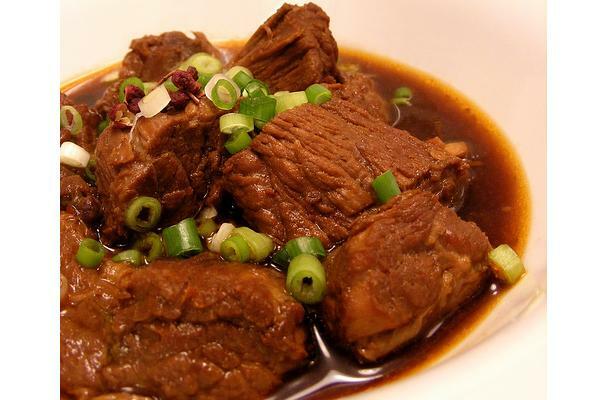 Brown beef quickly on all sides. 4. Turn meat. Add sugar and simmer slowly 1 hour more. Serve hot or cold. NOTE: If the meat gets too dry during cooking, add 1 tablespoon water mixed with 1 tablespoon soy sauce.